Asha Childs - Business Cards - Pure Black, Inc. 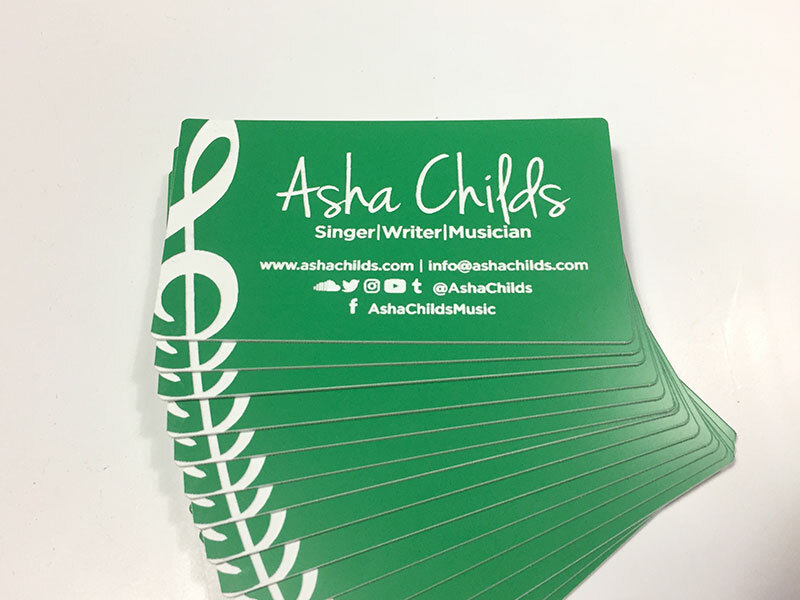 Some business cards for talented Asha Childs. Laser engraved, green with white reveal, on 1/16″ modified acrylic.